Here are some interesting things about the New York Giants after their 4-0 start. Where applicable I will look only at average per game, since Giants have played one fewer game than most teams. 1. Only NFL team to not go for a fourth down. 2. Leads NFL with 431.0 yards per game. 3. Leads NFL with 181.3 rushing yards per game. Tied for second with 42 rushing first downs. Note that they also played one less game than most teams. 4. Leads NFL with 5.8 yards per rush. 5. Leads NFL with 31.8 average points per game. 6. 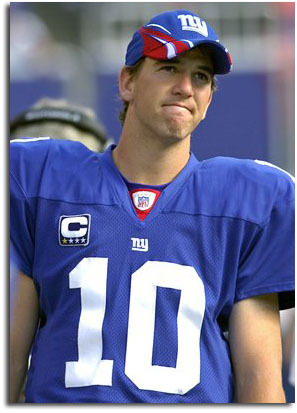 Eli Manning tied for second with only throwing 1 interception. Jason Campbell of the ‘Skins is the only regular QB to not have thrown one yet. 7. Derrick Wards has the best average yards per rush with 6.6. Brandon Jacobs is fourth with 5.8. 8. Brandon Jacobs is also 4th with 95.0 rushing yards per game. 9. Domenik Hixon is 5th with 19.1 average yards per catch. 10. Hixon is 4th with 13.8 yards per average punt return. 1. Tied for second with fewest first downs allowed, 61. Baltimore is way ahead with only 44 allowed. However, Giants have played one fewer game than most teams. 2. Second for fewest rushing first downs allowed, 17. Baltimore is way ahead with only 7 allowed. 3. However, tied for fourth last (27th) with allowing 10 first downs on defensive penalties. 4. Second in total defense with 236.0 yards per game. Second in passing yards per game with 154.0. 5. Second in average points allowed per game, with 12.3. Baltimore is in first with 11.2. 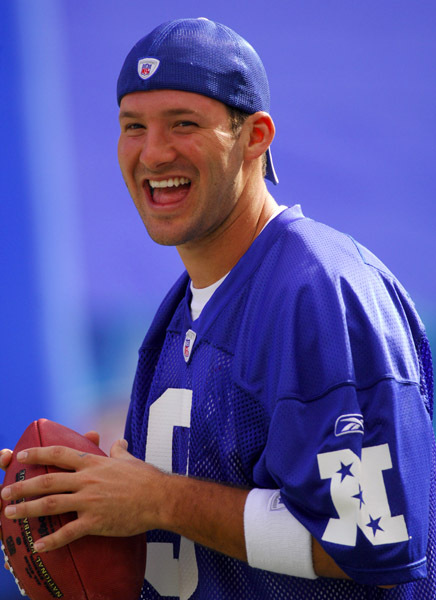 Giants will have to give up only 7 points next week against Browns to tie Baltimore with 11.2 after five games each. 6. Giants and Steelers are the only two teams to not have given up a field goal between 40-49 yards. Neither team has had an opponent try one yet. 7. Is fifth with only allowing 5 sacks. 49ers, dead last, has given up 20 sacks already. 8. Tied for third with 15 sacks. 1. Only tied for 24th with 20.7 yards return on kickoffs. 2. John Carney is second in kicking with 49 total points. 3. Giants are 1 of 12 teams to not miss a field goal yet. Of those 12, they have kicked the most field goals with 12. 1. Along with Miami, only teams to not have a fumble recovered by opponent. Tied with Miami and Washington with only 1 total giveaway. 2. Along with New England, only teams to not have a fumble recovery. Tied with Detroit with having only 1 total takeaway. 3. Have the lowest total giveaway+takeway with 2. Miami is second with 4.